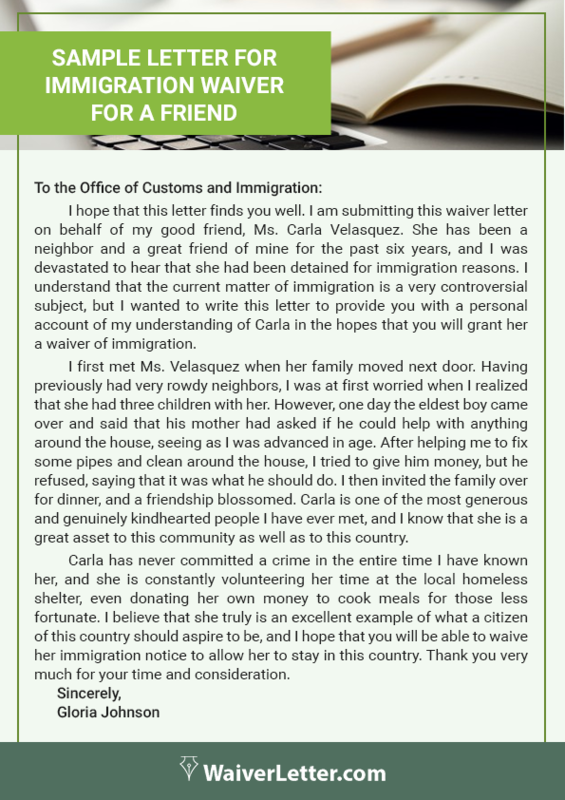 What Is a Waiver Letter for Immigration? The immigration i-601 and hardship waiver i-912 are two of the many forms that you may be asked to provide when trying to gain citizenship within the US. Hardship immigration letter for a waiver example is shared below. The immigration hardship waiver i-912 is used with many other applications, appeals, and requests to allow you to make your application without paying the applicable fees. As there are often many processes that you will have to go through this will often be a well-used form as you will need to make your request for each application form. Use of this process will allow you to get your citizenship for free if you meet their income and other requirements. The i-601 is your application for waiver of grounds of inadmissibility. It is used to allow you to apply for an immigrant visa to re-enter the US after you have left after previously overstaying. After 180 days of being in the US unlawfully, you will require the waiver to overcome the bars placed due to your overstay. This applied for after you have left the country and have had your immigrant visa interview with the US consulate overseas. See also why you may need a citizenship waiver here. You can also apply for a provisional unlawful presence waiver before you actually leave the US after overstaying. This has been implemented to attempt to reduce the time that people are separated from close family members that are already residing in the US. This can be gained prior to leaving the US to then apply for your immigrant visa. I-912 form for requesting a fee waiver can be made with any of the many petitions and applications that you are required to make for citizenship and visa purposes. This form must be submitted along with all supporting documents for each individual form that you submit. You cannot submit the fee waiver individually or after you have submitted one of the many forms required; it must accompany the specific form for which you require the fee to be waived. When writing a hardship letter for immigration waiver, you will need to apply for a 601 waiver hardship letter. To ensure you write a perfect immigration letter template, you can read a 601 waiver letter sample. An extreme hardship waiver letter sample can guide to through the different requirements you need to include on your waiver letter. If you are wondering, “how can I write a hardship letter for immigration for myself?”, or “what format and language should I use when writing an immigration hardship letter for myself?” You have come to the right place. Our expert writers recommend writing an immigration letter template using formal language. Bear in mind you are writing it in a legal context, so choose your words wisely. Finish your letter by acknowledging the reader and thanking them for taking the time to read your letter. Do not forget to proofread your letter before sending it. The hardship immigration letter for a waiver is written due to several reasons. Here are the issues that need your attention towards it. Health issues. To claim a hardship fitness coverage exemption, you ought to fill out a software, print it, and mail it to the medical health insurance marketplace. If you qualify for a hassle exemption, you do not need to pay a charge for the months you had been uncovered. To get an approval, the immigrant is going to should show to the pride of the USCIS® every and every difficulty. Does the qualifying relative have a scientific hassle or disability? Talk is reasonably-priced with regards to waivers. USCIS® has examined a variety of exaggerations, and so that they may be understandably skeptical. USCIS® goes to must see the scientific statistics and a detailed letter from the doctor. Financial issues. Changes in earnings or expenditure. Changes in employment popularity (consisting of dropping a job or having hours reduced). The economic problem is when a purchaser is willing but unable to meet their contractual debt duties because of sudden events or unexpected adjustments that impact the cash flow. It is important to submit an immigration waiver to let your issue resolved in a legal way. Educational issues. Examples of unforeseen occasions: lack of economic support or on-campus employment. If you are suffering an extreme monetary worry because of unexpected modifications to your financial instances, you could follow to American citizenship and immigration offerings (USCIS®) for authorization to work off-campus. It is necessary to submit an immigration waiver to get things done legally and without any unlawful act. Emotional issues. However, any evidence of complication to all people should be documented. Underneath u.S. Immigration legal guidelines, the “intense complication” suffered by means of the beneficiary of the waiver, his or her pals or own family individuals (aside from the qualifying relative) is technically irrelevant. Submitting the immigration waiver is important to get the approval of Visa despite expressing such issues. We have the team of experts that write customized hardship waivers for each of the discussed type. The immigration hardship letter for myself writing requires the solid and justifiable points to get the waiver approved as earlier as possible. Our skilled waiver authors know the tricks of composing well-versed hardship waivers that can assure the acceptance in the first attempt. 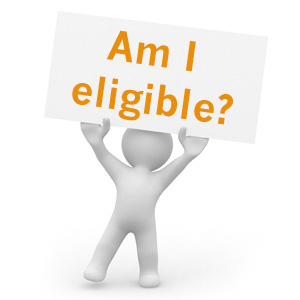 Who Is Eligible for an i-912 Waiver? Whether you are in receipt of any state of federal means-tested benefits such as the Supplemental Nutrition Assistance Program (SNAP). Whether the total household income is less than 150% of the federal poverty guidelines for the current year. Whether you have any other financial hardships to contend with such as unexpected medical bills. All i-912 applications are made with your specific application such as for an i-600 waiver application for grounds of inadmissibility. They are sent through the mail rather than electronically to the specific address on the form that you are applying for a waiver for. Evidence that you or a member of your household receives a means-tested benefit; this evidence must contain your name, the agency that grants the benefit, the specific type of benefit being paid, and the eligibility period that is covered. Evidence to support your application based on income earned. This should clearly show earnings for the entire household as per IRS form 1040. Evidence of other hardship such as paying medical bills. A reference letter for immigration waiver or affidavit of support from a member of the community in good standing will be required to support your application on the grounds of hardship. If you have no evidence that it has been lost you will need to include relevant police or fire reports. There are many applications that you will be required to make the USCIS and most have a fee associated with them. For instance, an application for a 601 immigration waiver will cost you $930 as currently priced for 2017. By submitting your i-912 with your i-601 you can potentially get the fee waived as long as you are eligible. See also 10 facts about the new provisional waiver process. How to Write a Waiver Letter for Immigration? Many writing services which can be available use a prevalent waiver form or template and just input a few of your details. Your request needs to be written with the aid of a person that absolutely understands the field and the requirements in case you need to make certain that they are able to write a compelling letter so as to get you what you want. These letters are rarely a success as they may be hardly ever cowl the whole lot that the reader desires to see and a long way from personal matters. from immigration waiver letter to the one related to any business consent, you must focus on the quality of example of waiver letter. 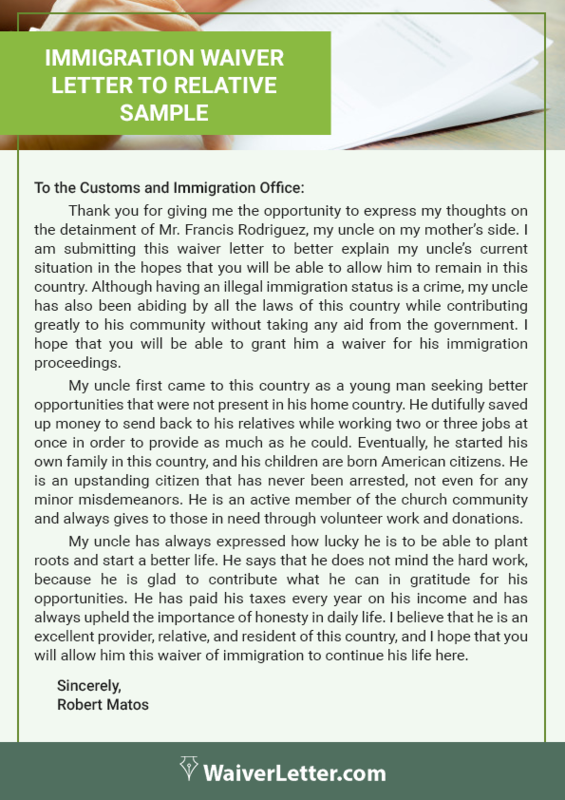 You can write the convincing waiver letter by following the examples of immigration. The newly-searched data can make the waiver letters more fascinating to read. It features the story of one’s life. This shows the uniqueness of the waiver letter in an ideal manner. You can learn the best ways of writing a waiver letter. This will also guide you to write the various types of waiver letter. Why Work with Our Immigration Waiver Letter Services? We are a highly specialized service that has been helping individuals and families with their applications through the USCIS for more than 5 years. Our experts fully understand the process and forms involved and can help you to ensure that your applications will be complete and well written while fully meeting their requirements. All of the support that we offer is provided through post-graduate degree qualified experts that have native level English skills to support your application. We always deliver on time and offer a full satisfaction money back guarantee. If you ever wonder “where do I get a convincing immigration hardship letter for myself?” – you know the optimal answer, here. To ensure that your immigration waiver request is completed perfectly just contact our highly skilled and reliable specialists here today.